A total of 11,552 migrants and refugees arrived in Europe between January and February 2019, the lowest number reported since 2015 when 12,258 sea and land arrivals were recorded. 52 per cent of individuals arrived through the Western Mediterranean route to Spain. In Western Balkans authorities registered two times more migrants in the first two months of 2019 (2,614) than in the same period last year (1,111). 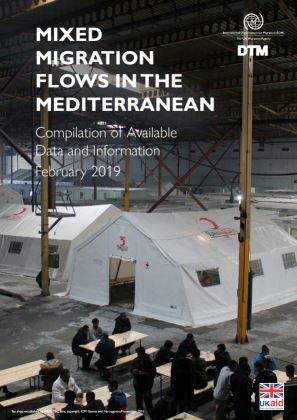 More than 72,200 migrants and refugees were residing in the Western Balkans region at the end of February 2019 and another 126,287 were registered in the reception centers across Italy.